For SUV drivers, the good handling of the tire, even under extreme conditions, is an essential requirement. The 3D Lock Sipes spread from one shoulder of the tire to the other, and they improve the handling of the tire especially when cornering and avoiding obstacles. 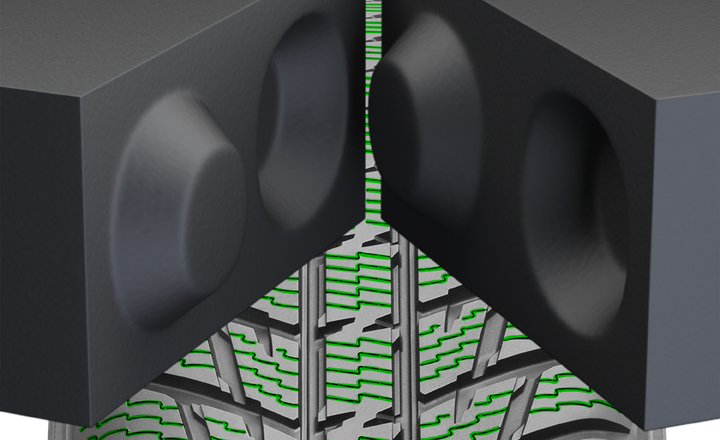 The 3D Lock Sipes differ from straight sipes in that they support the tread block even as the sipe opens. This is due to the sipe's locking mechanism. Furthermore, the 3D Lock Sipes improve the durability and wear resistance of the tire, especially under difficult road conditions.